QA International Certification Limited (QAICL) delivers its services worldwide through a network of representative offices. If you wish to work with QAICL as an International Representative, please request an International Representative Specification below. If after considering the specification you wish to make a formal application, please complete the application form from the link below. Unauthorised claims of QAICL representation. Unfortunately, there are individuals and organisations throughout the world claiming to be an authorised representative of QAICL when they in fact have no approval to conduct any form of business on behalf of QAICL. This undermines legitimate certification activity often leading to fraudulent acts and award of worthless or fake certificates of registration. In order that customers are safeguarded against such matters, it is important that transactions for certification are only completed with bona fide representatives from the offices listed below. If you wish to check the validity of any individual or organisation please use the enquiry form opposite. 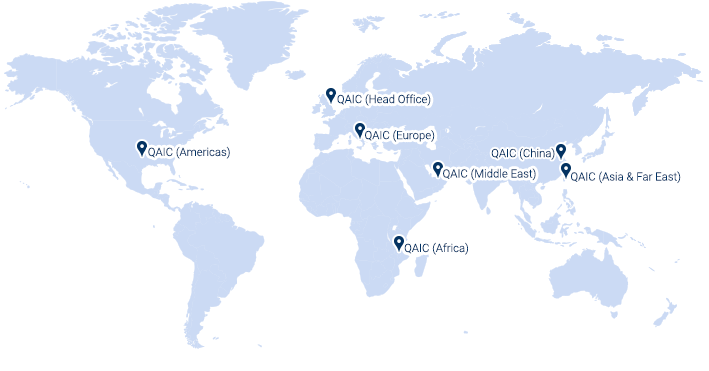 If as a prospective or existing customer of QAICL, you are approached with an offer of QAICL certification from a person or organisation not listed below, then please advise the Scheme Manager using the enquiry form opposite so that appropriate action can be taken in conjunction with the relevant local authorities in the Country or Region concerned.